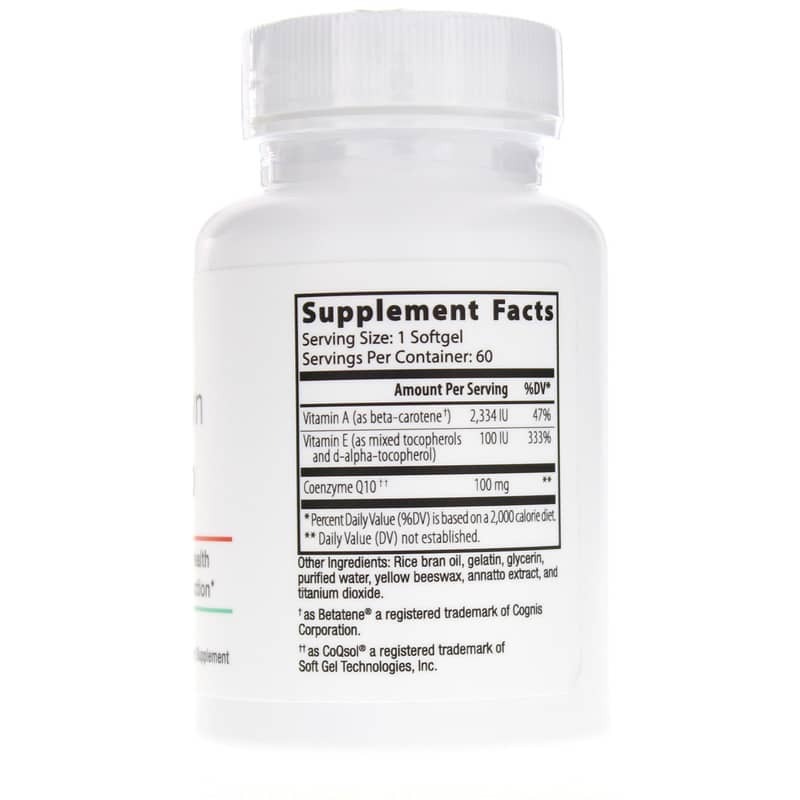 CoQ10 is a substance that in your body that's naturally produced in larger amounts when you're younger. It's found in every cell throughout your body, and plays a key role in your ability to produce healthy levels of energy. As you get older, your body's natural production of CoQ10 begins to decline, which can have negative effects on your energy levels. 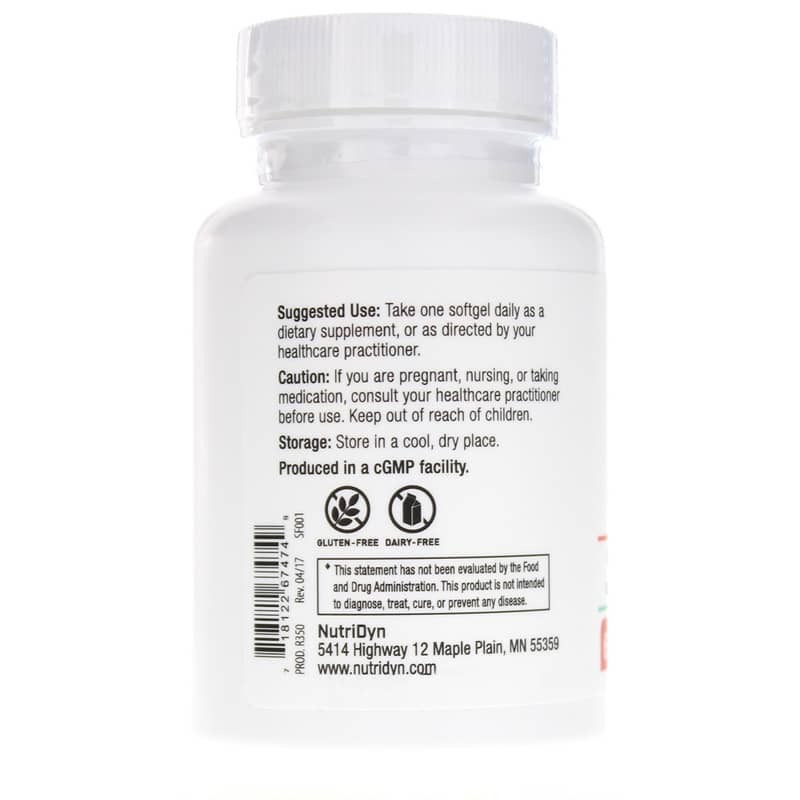 CoQ10 from Nutri-Dyn delivers 100mg of all-natural CoQ10 to support optimal health, as well as the healthy and regular production of cellular energy. 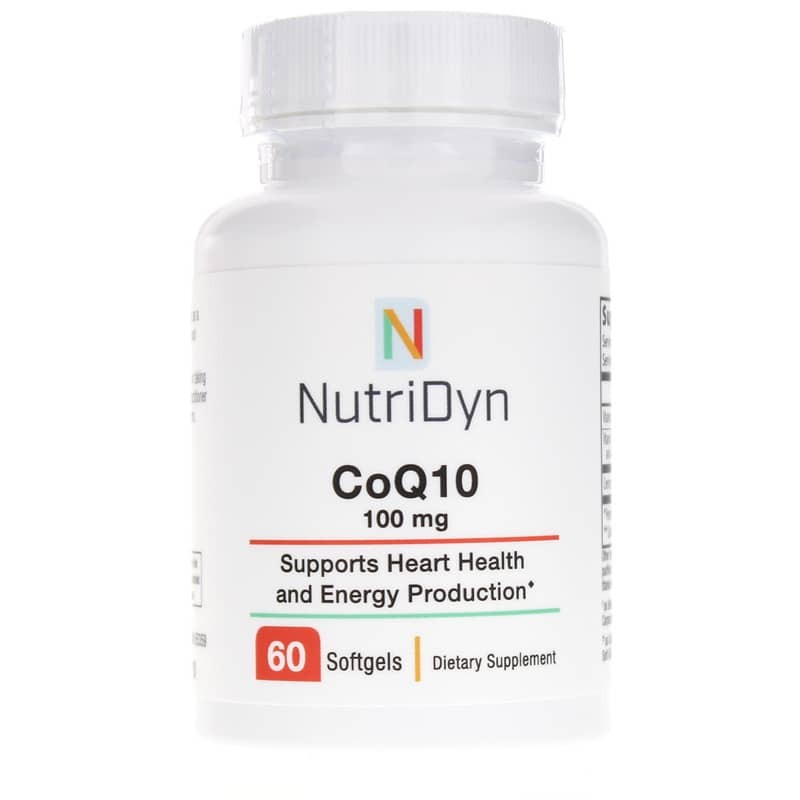 Nutri-Dyn's CoQ10 comes in a convenient softgel form that's easier to swallow than traditional tablets, plus it only needs to be taken once every day to provide optimal health benefits. Don't let your body's declining CoQ10 levels have an effect on your everyday life. Choose CoQ10 from Nutri-Dyn today, and see how it can help your body produce healthy levels of energy. Order yours today! Other Ingredients: rice brain oil, gelatin, glycerin, purified water, yellow beeswax, annatto extract and titanium dioxide. Adults: Take one softgel daily or as directed by your healthcare practitioner. Reasonbly priced and fast shipping. Always fast free shipping, quality products and great customer service.